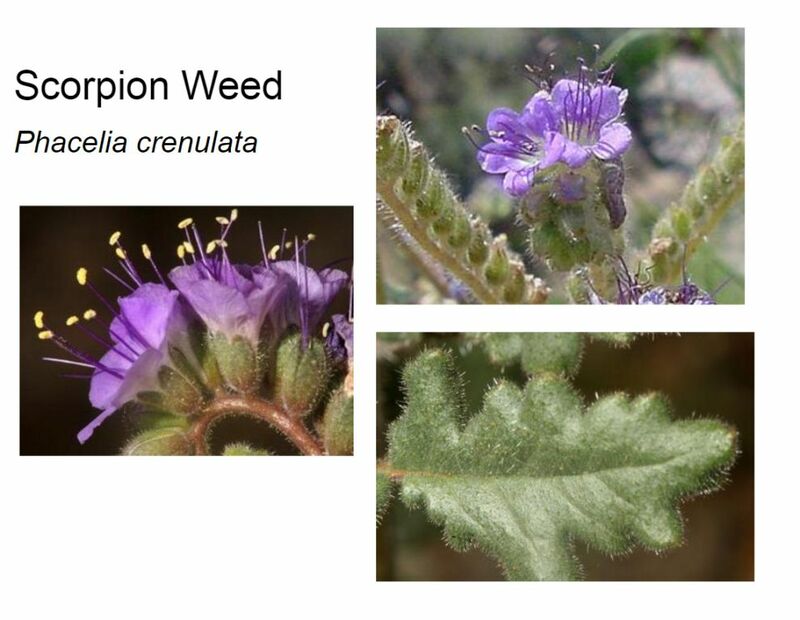 There are four native Phacelia species in Sabino with purple flowers. Like the Cryptantha species, they look so similar that we are going to be happy enough getting them in the correct family. You can't tell as well from these photos, but both have the curved stem that we saw on the Fiddleneck (Amsinckia menziesii var. intermedia). Note, of course, the hairy foliage. The other two natives are Purple Bell Phacelia (Phacelia affinis) and Small-flowered Phacelia (Phacelia cryptantha). 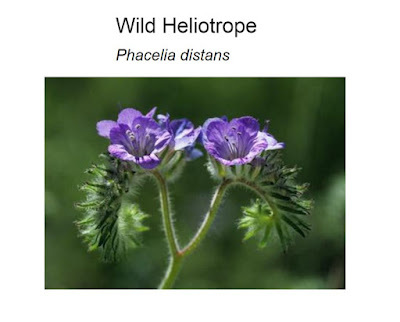 Um...Is there a Tame Heliotrope?